The IAWA was established in 1985 as a joint program of the College of Architecture and Urban Studies and the University Libraries at Virginia Tech. The purpose of the Archive is to document the history of women's contributions to the built environment. 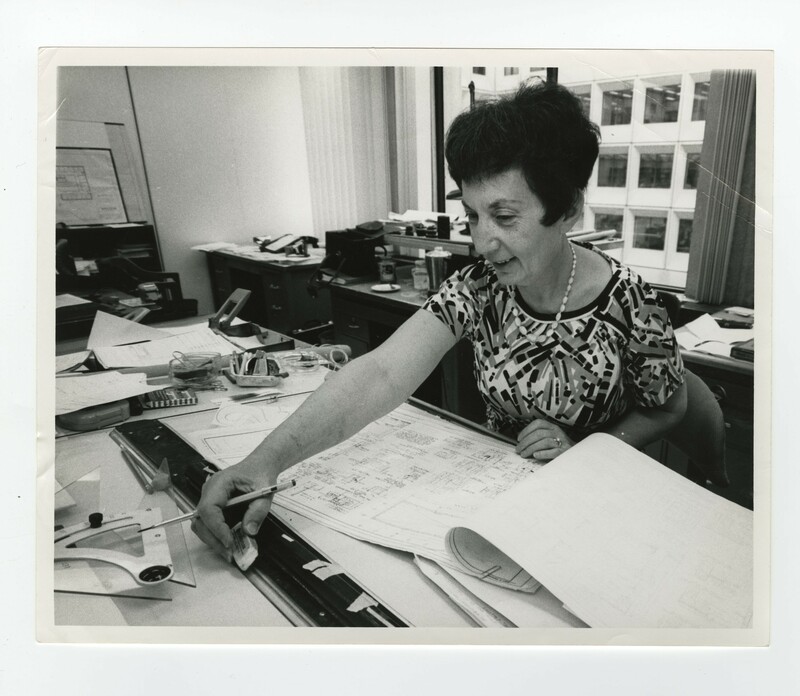 Washington D.C. architect Melita Rodeck at work,1970. 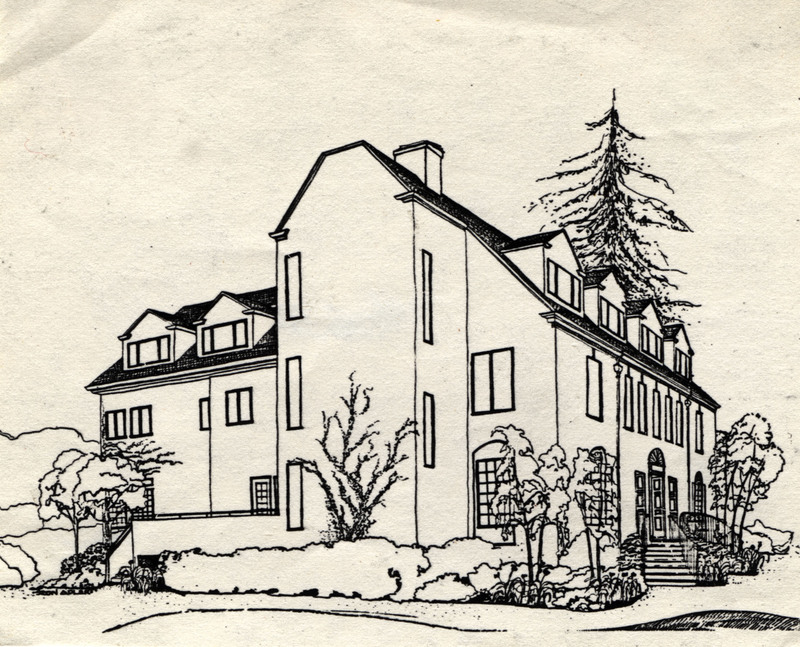 Presentation drawing of house by Lilia Skala, n.d. The International Archive of Women in Architecture (IAWA) was established in 1985 as a joint program of the College of Architecture and Urban Studies and the University Libraries at Virginia Tech. 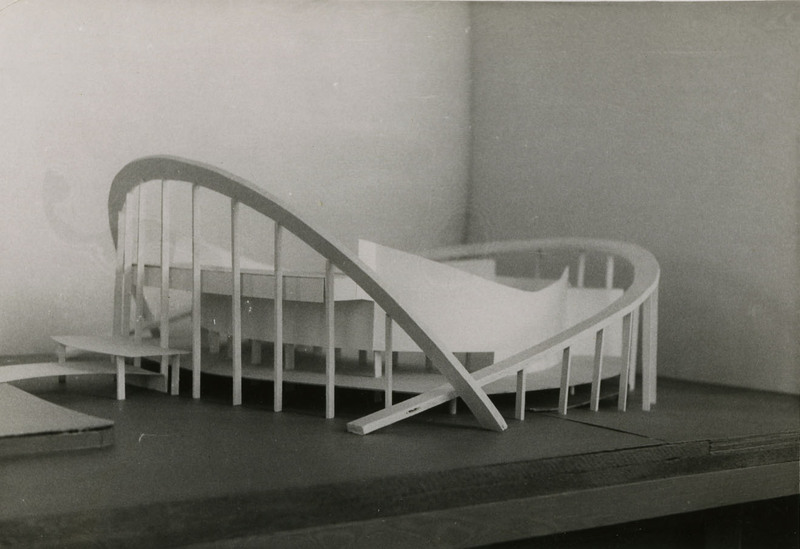 The purpose of the Archive is to document the history of women's contributions to the built environment by collecting, preserving, and providing access to the records of women's architectural organizations and the professional papers of women architects, landscape architects, designers, architectural historians and critics, and urban planners. The IAWA strives to improve the availability of rich primary source materials for architectural, women's, and social history research. Today, the IAWA documents the legacies of more than 435 individuals, firms, organizations, and exhibits from the 1890s through the present day. 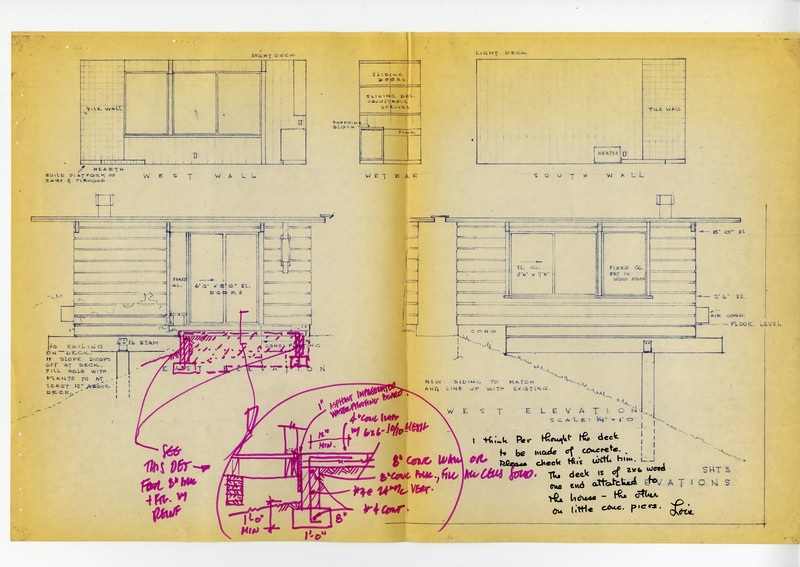 The permanent collections include approximately 2000 cubic feet of documents, photographs and negatives, architectural drawings, sketches, scrapbooks, building models, presentation boards, and other materials that capture the creative process. The IAWA also collects books, biographical information, and other published materials as part of its mission to act as a clearinghouse of information about the global history of women in architecture. Special Collections works with a global community of scholars, students, researchers, and members of the general public. The IAWA and its resources are available to everyone. It is not necessary to make an appointment, although we invite you to contact us in advance with any questions you might have. For more information about visiting Special Collections and requesting materials, please review Special Collections and University archives: A Basic Introduction. B. Scholarly Highlights:​ Quickly identify notable themes, communities, and sub-topics in the IAWA. This is a great place to start if you are looking for research inspiration. C. Find Materials: How does one conduct research and find resources in the IAWA? This page examines different tools you can use to find appropriate materials for your work and offers tips to help you overcome potential challenges. D. Research and Instruction Services: In addition to helping you find and retrieve useful materials, how can Special Collections staff support your work with the IAWA?